Welcome to Glaslough Village Website! 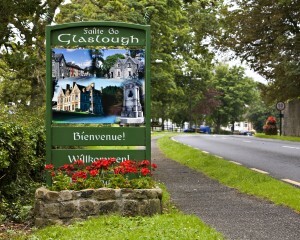 The name Glaslough is derived from the Irish translation ‘calm or green lake’, our picturesque, magical village is located on the outskirts of Castle Leslie Estate in north Co Monaghan. Surrounded by ancient woodlands and glittering lakes, it is a village filled with impressive historical and architectural features, beautifully stone cut period buildings and a unique, vibrant and welcoming community. Please explore our website to discover this beautiful village and the many facilities and business’s and friendly local people – a warm welcome awaits you in Glaslough Village!